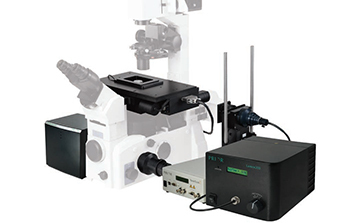 The ProScan™ series is a highly accurate range of stages for research microscopy and applications where accuracy and repeatability are paramount. The XY ProScanStages have a well deserved reputation for being the best available. A choice of motors, ball screw pitch and encoders combined with a fully configurable controller makes the range highly flexible.